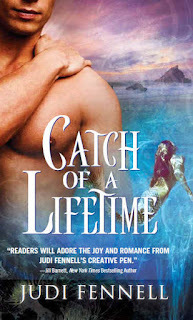 My guest today on the Girlfriend's Cybercircuit Lit Blog Tour is Judi Fennell, celebrating the release of Catch of a Lifetime, the latest in her "Mer" series. Judi Fennell has had her nose in a book and her head in some celestial realm all her life, including those early years when her mom would exhort her to “get outside!” instead of watching Bewitched or I Dream of Jeannie. So she did—right into Dad’s hammock with her Nancy Drew books. Name three songs that would be perfect for the soundtrack for Catch of a Lifetime. Come Sail Away because, hey, we're talking mermaids, oceans, sharks and a chase on the waves. Kiss Today Goodbye (from A Chorus Line) because of the tone. When the black moment hits, it's pretty much what Angel does for love. And, Can't Touch This, by M.C. Hammer. Maybe it's because there's a kidnapping shark in the story named Atlantic City Hammer—or A.C. Hammer, for short. What is the elevator pitch for Catch of a Lifetime? A Mer princess on a mission to save the planet meets the one Human who could help her do it. Too bad he wants Normal in his life and a mermaid is as far from Normal as he can get. I wish I knew. LOL. I feel like all I do is write these days. Except when I'm doing mom/taxes/wife/homeowner stuff. I need more hours in the day. Learn your craft and write. Keep writing. 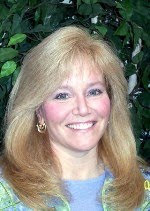 Submit your work to contests or critique groups (Charlotte Dillon has a great online critique group that helped me tremendously and several of us formed our own online group from it). Listen to the feedback and if a lot of people are saying the same thing, take a look at it. Don't take feedback personally; you have to pour your heart and should into your story but then let it go and analyze it objectively. Yes, I know, easier said than done. But you have to because, in the end, your story is a product and you need it to be a good one if you want to sell it. If I'm not going to Outback Steakhouse, I'm either jonesy-ing for Chinese food (Hunan Chicken) or Olive Garden. But then, I love food (as my waistline will confirm), so pretty much any place is good with me. Best of luck with the book, Judi! 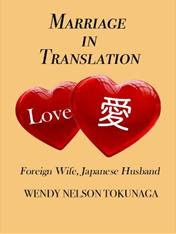 Thanks so much, Wendy, for hosting me!